Take in the views from a terrace and make use of amenities such as complimentary wireless Internet access and gift shops/newsstands. Guests can catch a ride on the complimentary shuttle, which operates within 1 km. Located in Le Mont-Saint-Michel, Le Relais Du Roy is a 5-minute drive from Alligator Bay and 9 minutes from Moulin de Moidrey. This hotel is 13 mi (21 km) from Mont Saint-Michel Bay and 13.4 mi (21.6 km) from Brittany American Cemetery. Located in Le Mont-Saint-Michel, Le Saint Aubert is on a river, a 4-minute drive from Alligator Bay and 7 minutes from Moulin de Moidrey. 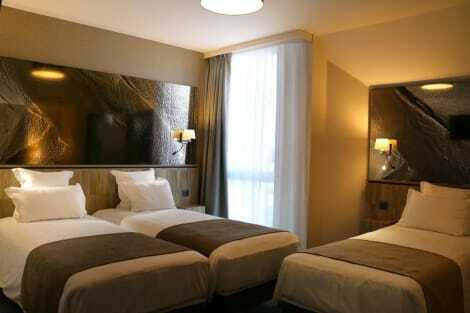 This hotel is 12.9 mi (20.7 km) from Mont Saint-Michel Bay and 10.2 mi (16.3 km) from Forêt de Villecartier. Make yourself at home in one of the 45 guestrooms. Satellite television is provided for your entertainment. Private bathrooms have complimentary toiletries and hair dryers. Conveniences include coffee/tea makers, and housekeeping is provided daily. lastminute.com has a fantastic range of hotels in Le Mont Saint Michel, with everything from cheap hotels to luxurious five star accommodation available. 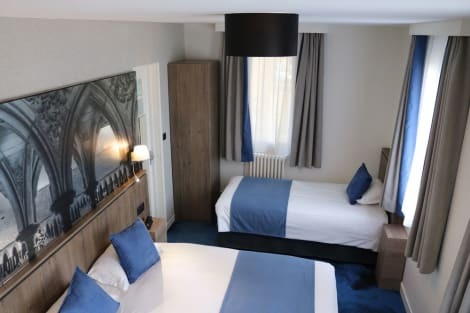 We like to live up to our last minute name so remember you can book any one of our excellent Le Mont Saint Michel hotels up until midnight and stay the same night.